Atheneum Books for Young Readers, 9781416903529, 304pp. That difference grows even bigger—and more painful—when Jaya’s mother is accused of theft and Jaya’s small, fragile world collapses. When tensions about immigrants start to erupt, fracturing this perfect, serene suburb, all three girls are tested, as outsiders—and as friends. Each of them must learn to find a place for themselves in a town that barely notices they exist. 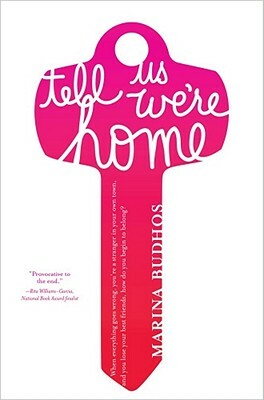 Marina Budhos gives us a heartbreaking and eye-opening story of friendship, belonging, and finding the way home.